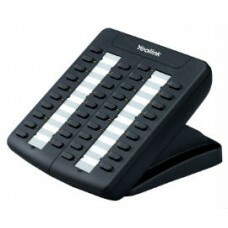 Provides versatility and functionality for your Yealink T26PN and T28PN IP phones with the addition of the EXP38 expansion module and benefit from 38 fully programmable DSS keys with dual colour LED. For larger installations, link up to 6 modules to provide up to 228 keys. The programmable keys support the IP-PBX functionality available on the respective IP phone. The EXP38 is ideal for anyone called upon to manage and monitor a large number of calls.